ATLANTA, GA – November 18, 2011 Sea Lion Books is proud to announce a multi-book deal with acclaimed fantasy fiction author C.S. Marks, whose highly successful self-published series has already garnered high praise from readers and critics alike. Set in the remarkable realm of Alterra, ELFHUNTER is the first novel in this three book series, which has sold over 35,000 copies in the United States and UK. 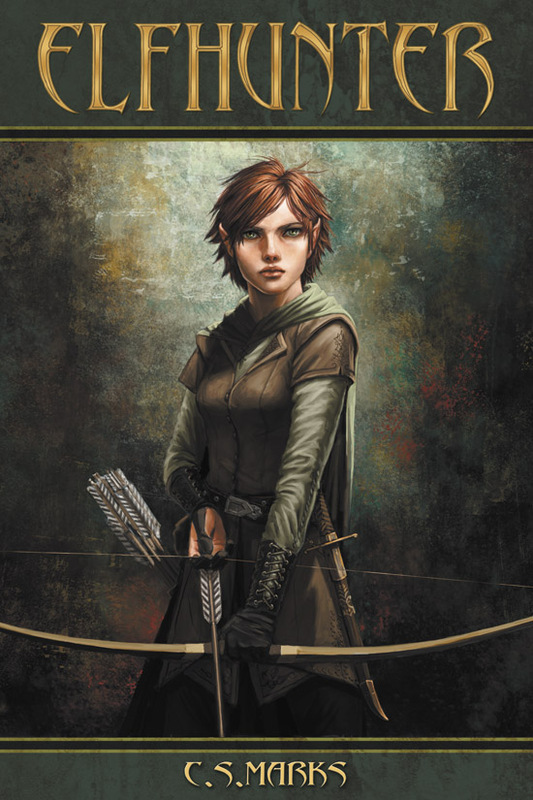 An epic fantasy filled with adventure, danger, and suspense, it is scheduled for release Spring 2012. A monster roams the last refuge of the Elves--a creature who has sworn to destroy them one by one until none remain. 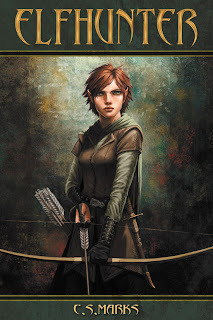 One headstrong heroine is determined to stand between her people and extinction--Wood-elf Gaelen Taldin. When powerful dark magic creates a terrible and irrevocable spiritual link between them, the result is a journey of terrifying transformation. Elfhunter tells a story of savage combat between predator and prey--a deadly dance wherein the hunter becomes the hunted. Who will prevail? A fantasy setting rich in imagery and very human conflict, the world of ELFHUNTER pits friendship, loyalty, and love against hatred, prejudice, and despair. In a monster-hunt of epic proportions, it sets one small but determined Wood-elf against a complex and fascinating villain to yield a timeless tale that has captivated young readers and parents alike. Join the Company of Elves, dwarves, mortal men, and delightfully intelligent horses. Come to Alterra – the "World That Is". “We are thrilled to bring the world of C.S. Marks’ ELFHUNTER TRILOGY to new life.” said Derek Ruiz, Executive Vice President and Publisher of Sea Lion Books. "An amazing new talent, a powerful storyteller, she and her series (newly illustrated by the incomparable Hope Hoover) have an exciting and brilliant future at Sea Lion Books." Christine Stewart-Marks (C.S. Marks) has often been described as a "Renaissance woman". An accomplished horsewoman, illustrator, musician, and educator, Chris has also been an endurance rider-one of the very few Americans to have completed the Australian National Championship hundred-mile race. She is an archery enthusiast skilled in the making of longbows, holds a Ph.D. in Biology, and is currently a full professor of equine science at a small Midwestern college.